Filled with excellent bands, the British Neo-Prog scene has been a prime-mover in the development of progressive music worldwide as a whole since it's quiet inception during the early 1980's. Whilst Marillion and IQ battled for UK supremacy, Pallas quietly chugged along, releasing an impressive debut, then an ok follow-up, then...silence. Until, that is, the band re-convened to produce the highly-rated 'Beat The Drum' IN 1993 and re-kick- start their faltering career. Views are mixed on the groups early recordings, with this reviewer still un-decided about 'The Sentinel', so it has come to their latest offerings for the fans, the critics and the prog-communty in general to cast judgment over their more profilic times, times that produced a steady stream of albums without large, intervening breaks. And, again, opinions are divided. 'The Cross And The Crucible' is a decent affair, it's just the bands overall style has never sat as comfortably as, say, IQ, in their translation of prog into a modern arena. Whereas IQ manage to rock-out and daze in equal measure(balancing styles, tempo's and ideas in equal measure) Pallas' music seems too muggy, too broken-up with ideas, and, ultimately, too over- produced for it's own good. Potentially great songs curtail after a few minutes of blinding inter-group playing into bland, faux-mystical sub-plots that serve only to irritate, rupturing the flow of the music and sacrificing substance underneath style, favouring the oblique over the optimistic. Pompous word-play, over-elaborate breaks, choruses and verses, silly mid-song speeches...yes, they are all hear. 'The Greater Glory' however, really does rock, even if that's only for the first 3-minutes, the rest of the song quickly lapsing into terminal, indulgent, glutinous fantasy-roleplay style atmpospherics, guest-speakers waffling on slowly about some 'star' or 'cosmos' or 'angel'. This is prog and there is nothing wrong with a bit of psychedelic-swirl, but a major feature of modern progressive rock, and one of the reasons the genre has come back to life so strongly, is the advent of humour within the actual music. Just look at Pallas' label-mates. The Tangent basically created the book on humourous modern-prog; Spock's Beard delight in it and even IQ include the odd comical-interlude to lighten the load once in a while. 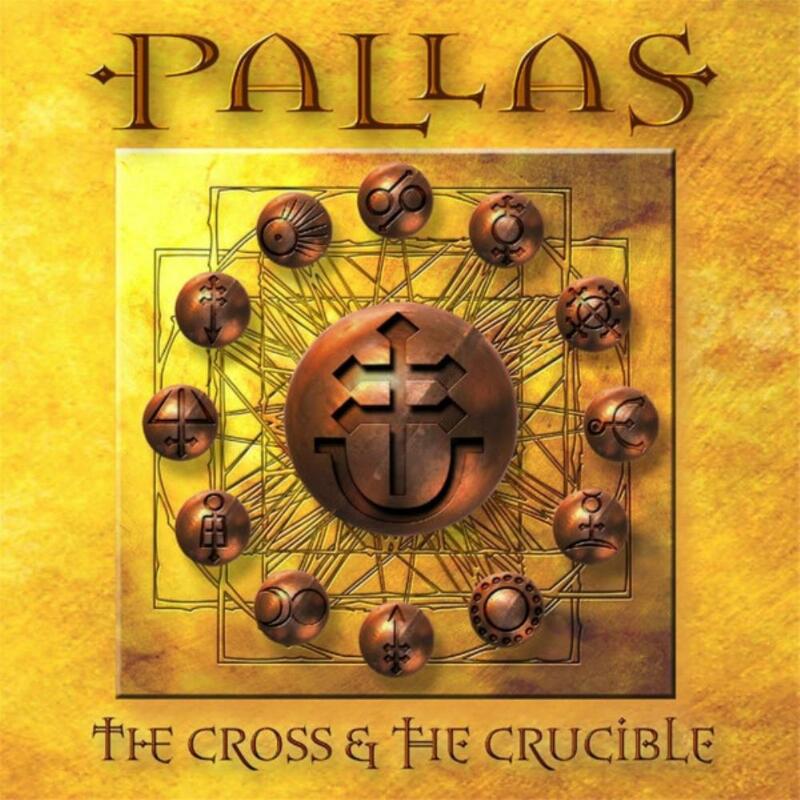 There is no doubting Pallas and their position near the top of todays progressive-music premier league, it's just that the Scots are falling behind, way behind, the likes of Andy Tillison, Neal Morse, Pete Nicholls and Roine Stolt in terms of creating fresh, accesible music that genuinely captures the imagination of the supporting community. 'The Cross And The Crucible' has some nice ideas, and it's good to see the band falling back on their prog-roots. However, the album is so flat, so earnest and, at times, so damn dour, it's hard to keep an interest.